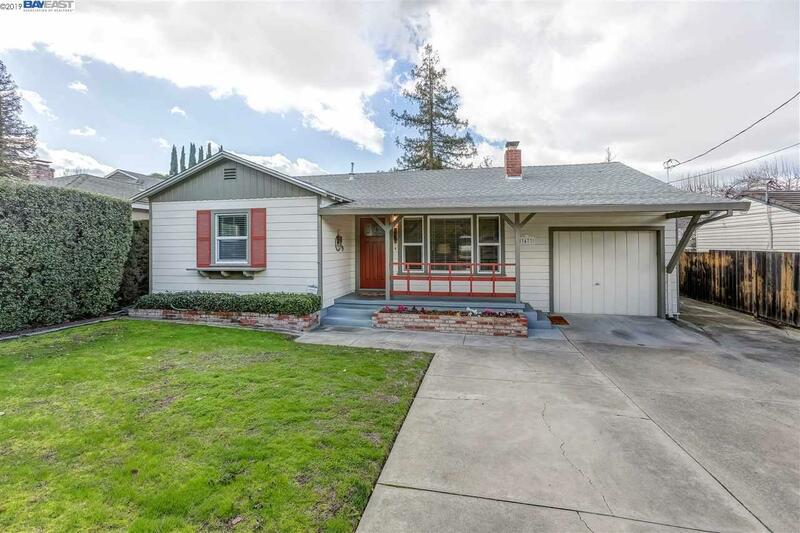 Fabulous opportunity to own in Pleasanton , the charming single story home oozes with character on a large flat .28 of an acre that has ample space for boat & RV. The park like yard features grape vines and gardens. This almost 1500 sq ft home has a formal living room and a great family room. It also has a bonus 500 sq ft that comprises of a bonus studio with a half bath and possible bedroom/ was used as a recording studio and an incredible wine room. This wine shrine has a patio deck designed for entertaining. It features a custom barrel vault occupying the center of the ceiling, made of Redwood that was salvaged from the McHenry Library Renovation at the University of Santa Cruz. Single-bottle rack capacity: 974 bottles. The property also has a size access road on Vineyard with the possibility of reconfiguring the house or adding onto. (Check with County) Incredible location with close proximity to award winning schools, shopping and freeways.